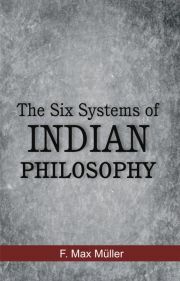 The Six Systems of Indian Philosophy by Friedrich Max Müller is a goldmine of comprehensive account of six major systems of Indian philosophical thought. It addresses descriptively the key thoughts in Vedanta, Uttara-Mimamsa and Purva-Mimamsa, Samkhya, Yoga, Nyaya-Vaisheshika, and Vaisheshika systems. The book seriously focuses on one major finding that Indian religion and the major philosophies of the land are well connected with the character of the inhabitants of India. The originators of these six systems left no uncertainty as to the exact position which each of these philosophers occupied on the great battlefield of thought. Max Müller quite analytically approaches every system with full dedication and brings out the crux of all these thoughts. He revitalizes these systems and presents to the entire world the quintessentials of Indian thoughts. This volume is also an effort to rejuvenate the lesser-known systems like Purva-Mimamsa, Nyaya, Vaisheshika and Yoga. This comprehensive volume should cater to the needs of all who operate in the domain of Indian philosophy.